View More In Orchestral Jazz. Stan Kenton - One Night Stand, Disc NM, Case NM, Format: Music CD, Candid Productions Records. 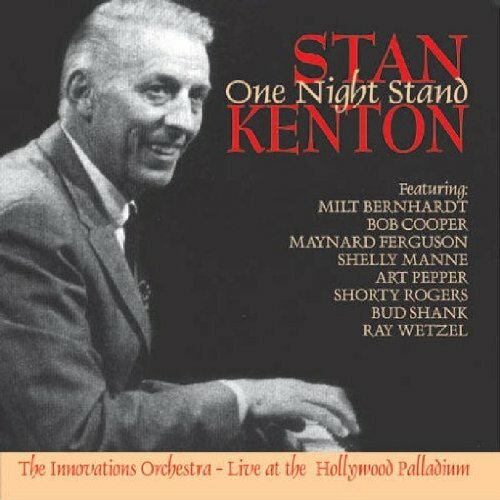 Jazz music CD release from Stan Kenton with the album One Night Stand. Released on the label Candid Productions Records. Jazz music CD. This hard to find pre-owned music CD is fully guaranteed. This CD and case are almost like new. If you have any questions about this product by Autumn Leaves, contact us by completing and submitting the form below. If you are looking for a specif part number, please include it with your message.